Collection of Modern and Creative Tissue Paper Holders from all over the world. 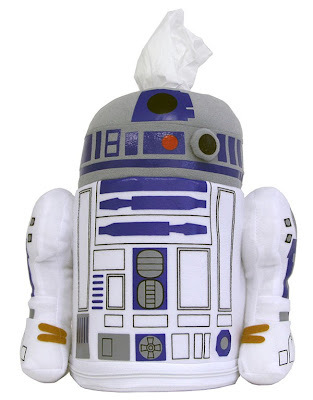 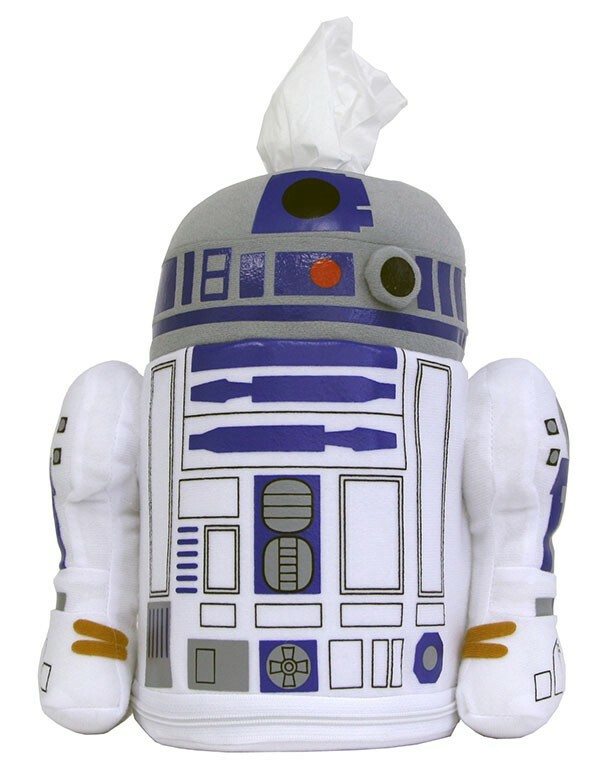 R2-D2 Roll Tissue Cover: R2-D2 Roll Tissue Cover from Japan comes with a zipper at the bottom of the box, so you can put the tissues. 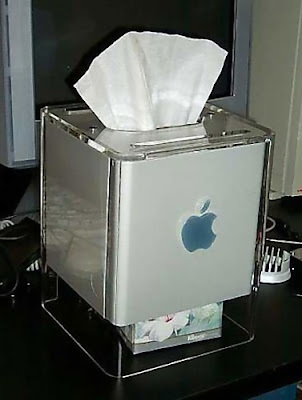 Apple G4 Cube Tissue Box: Power Mac G4 cube computer creatively reused as a clever tissue box. 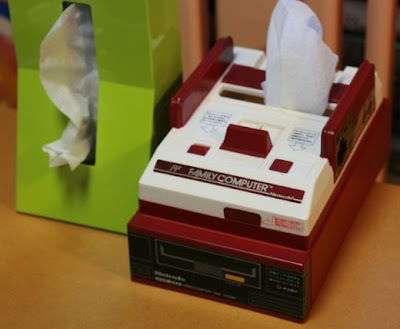 Nintendo Famicom Tissue Box Cover: This clever tissue box cover looks just like the original Japanese Nintendo Famicom console. 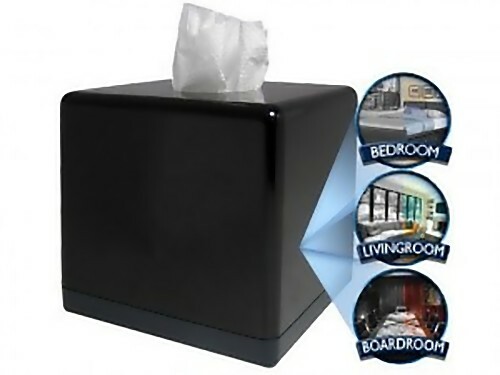 Washing Machine Tissue Box: This washing machine tissue box was created for advertisement of 'Ideal Zanussi-ZI 820'. 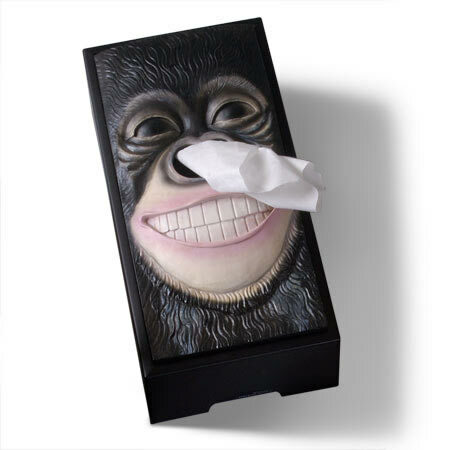 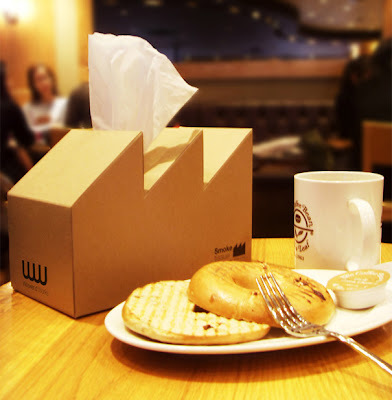 Make a Face Tissue Box: You can print your own photos and place it on the tissue box. Tissue Box with a Hidden Camera: "What looks like an ordinary tissue box is actually recording your every move!" 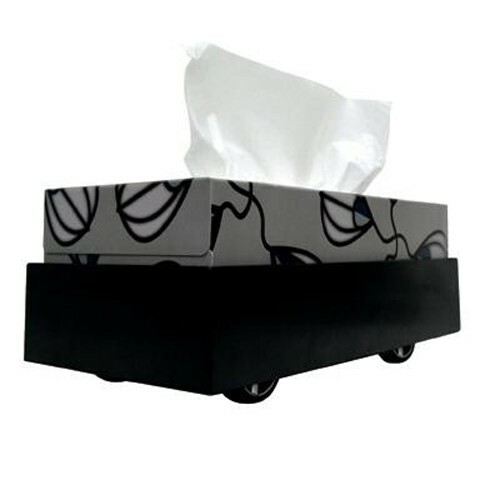 Mobile Tissue Boxes: If you don't want to get up to take a tissue then this remote control driving tissue box is exactly what you need! 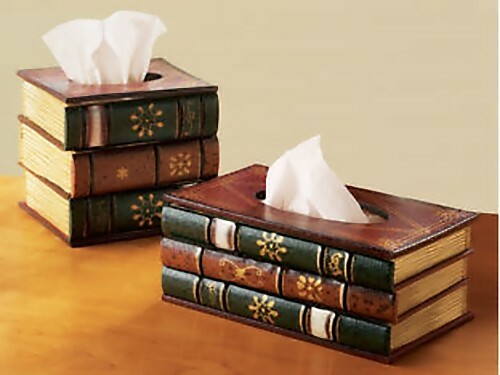 Just take the remote control and bring the tissue box to you. 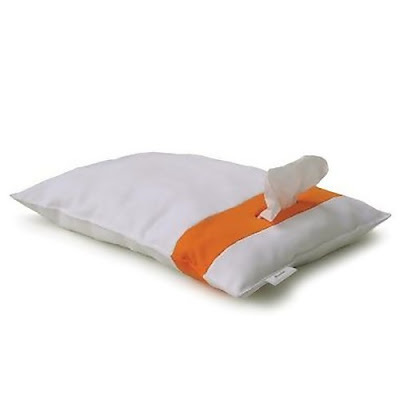 Tissue Dispensing Pillow: This pillow can come in handy. 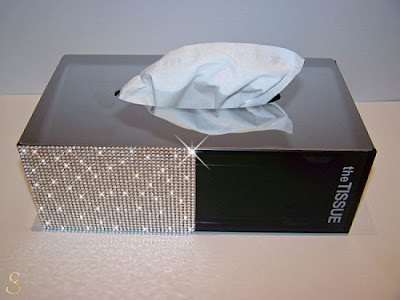 Swarovski-Encrusted Tissue Box: 1,190 crystallized Swarovski elements adorn this tissue box made of tinted glass and stainless steel. 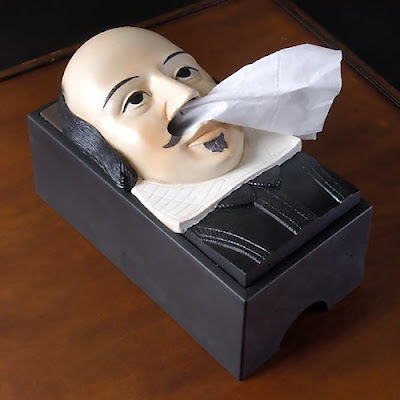 Shakespeare Tissue Box Cover: "The Shakespeare Tissue Box fixes over any standard-sized box of tissues and dispenses the tissue out of the nose of the legend of prose." 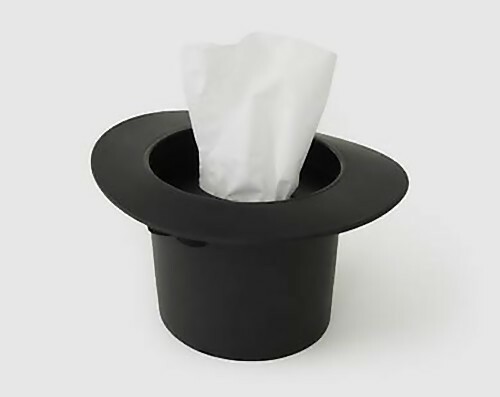 Hat Tissue Dispenser: It dispenses the tissue out of the hat. 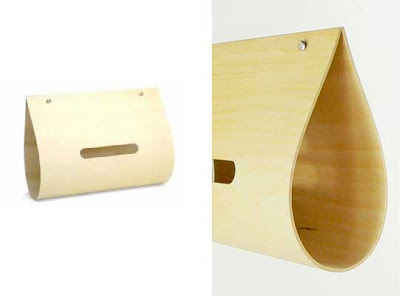 Wooden Tissue Box: Creative wooden tissue box design by Yamato from Japan. 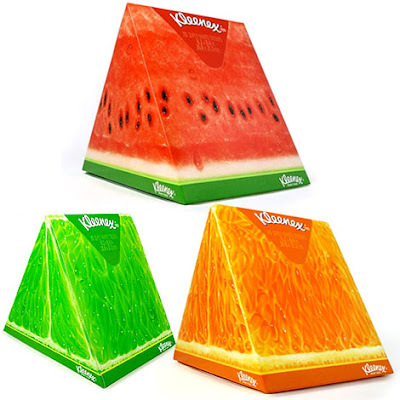 Perfect Slice of Summer Tissue Boxes: Illustrator Hiroko Sanders created these juicy fruit slices illustrations for the new Kleenex. 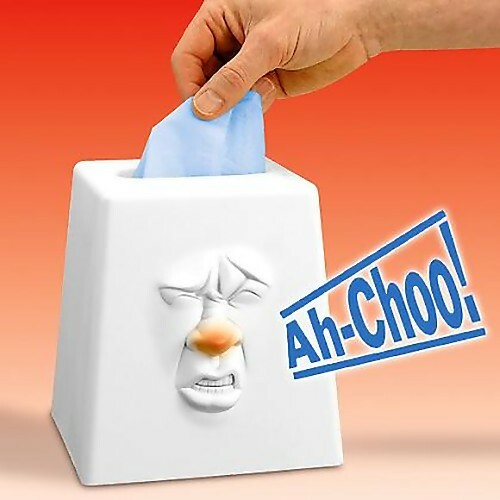 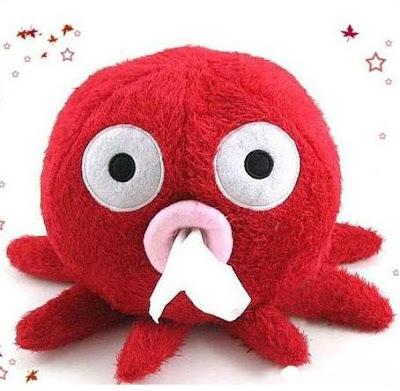 Talking Tissue Box: Each time you reach for a tissue, it makes sounds. 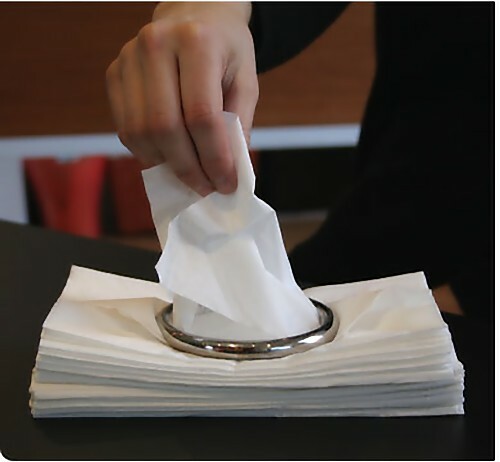 Toro Tissue Ring: Toro, a stainless-steel ring lets you pull just one tissue through at a time. 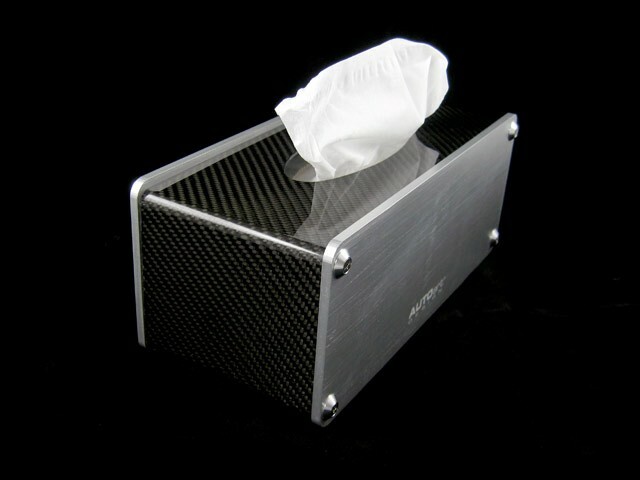 Carbon Fiber Tissue Box: Modern tissue box made with real carbon fiber and aluminum. 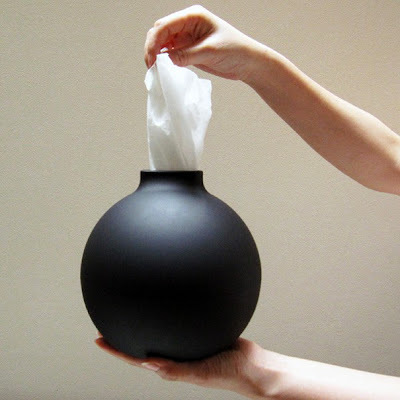 Paperpot: Another clever tissue paper case from Japan. 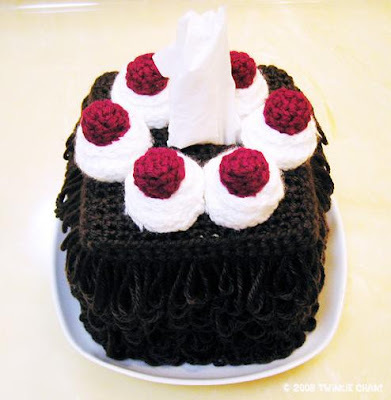 Cake Tissue Box: A tissue box in the shape of a black forest cake. 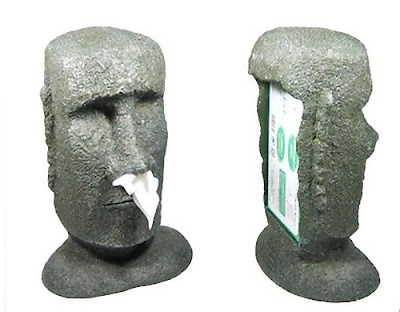 Stone Statue Tissue Box Cover: Tissue box cover inspired by the huge stone statues. 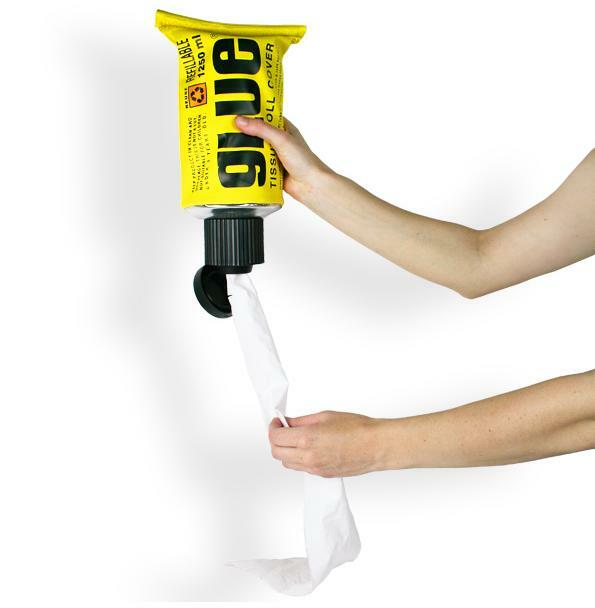 Tube Tissue Dispensers: Simply open the end of the realistic looking tubes and pull the toilet paper. 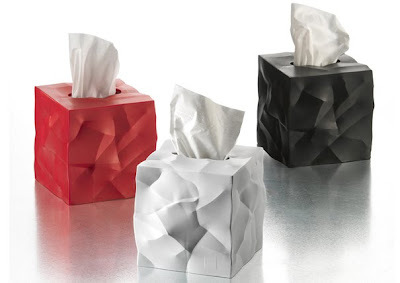 Crumpled Tissue Boxes: Brauer created this tissue box that mimics its real contents.